At our core, we believe breaking bread is the fabric that weaves families and communities together. Sharing a meal is sacred, and invites people to celebrate friendship, engage in conversation, and connect meaningfully. We committed to living a sustainable, healthy life beginning with the food we eat and share. 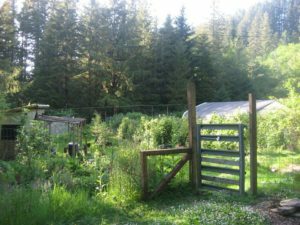 We traded in our corporate work for rural living and real food, gradually enlarging our simple kitchen garden in the Columbia River Gorge to a 60-acre organic farm on the Oregon coast. Multiple gardens, an heirloom orchard, animal care, egg production, and a food education program kept us very busy, and our table full, for many years. In 2016 we returned to our beloved Stevenson community, and the beauty and bounty of the four-seasoned Columbia River Gorge. Urban gardening is now our focus, teaching others how to grow beautiful and delicious food in their own yards or patios. With hundreds of guests and farm-style dinners under our belts, we recognize a common theme: most folks experience a profound connection while seated at our table, overflowing with just-harvested organic goodness. 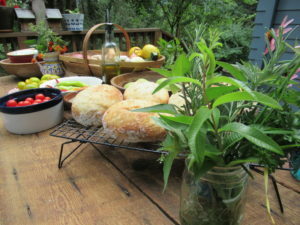 The smell of earth, of evening dew, of fresh herbs, and edible flowers is palpable. No one wants to leave. Far too often we are reminded of the very real disconnect between most people and their food source, nature, their body, family, and roots. We personally know that real food is medicine, the healer of most ills. In fact, it prevents most ills. Determined to bring the farm experience to others, as well as debunk the myths that healthy food is too expensive and dietary changes too challenging, we created ROOTS Farmacy in 2011. 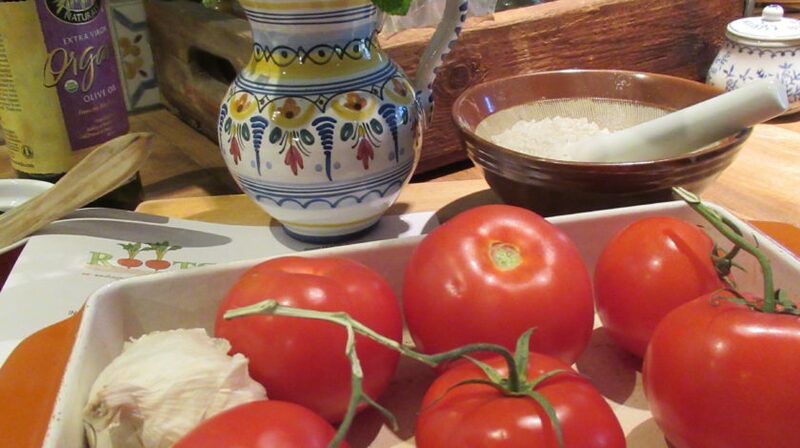 It is our intention to inspire folks to enter into relationship with fresh and locally-sourced food to prepare healthy meals and connect with their loved ones at the dinner table. We’ve done the hard work: the research, the number crunching, the planting, the harvesting, the taste-testing, the recipe tweaking; all from a labor of love. Join us for a class or retreat and savor the bounty of our local Columbia River Gorge farms, orchards, and artisans while learning to prepare heart-loving food. Your spirit, body, and mind will thank you. Here’s to living a simple, affordable, vibrant life!